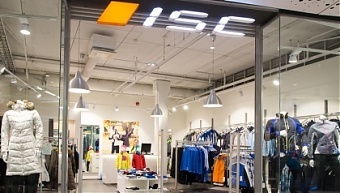 Gerhard Eberle, owner of the now-bankrupt manufacturer sports clothing Ilves-Extra, has established a new company in the same field of business titled ISC International in the south Estonian city of Tartu, Tartu Postimees said, cites LETA/BNS. "Bankruptcy was the best decision in view of both saving the ISC brand and many of the Ilves-Extra jobs, in order for it to be possible for us to make a new start as OU ISC International," Eberle told the newspaper. "In the first phase we had to put inventories up for sale to get money with which we could put the company on a growth path again. After that we had to optimize manufacturing operations and increase productivity," Eberle said. He said that in the next phase, the company opened a new store in the Lounakeskus mall, overhauled its store on Kastani Street and relocated manufacturing operations to new premises on Staadioni Street, all in Tartu. They also concluded an agreement on strategic cooperation with the OU Haine Paelavabrik manufacturer of bands for the garment industry to create synergy between the two companies located in the same area. ISC International finished the year 2016 with a minor loss on sales of 7.9 million euros, according to Eberle. The company employs 30 workers in Tartu, whereas businesses belonging to Eberle employ a workforce of 150 combined. The Tartu County Court declared Ilves-Extra bankrupt in May last year. The company used to export from 50% to 80% of its output depending on year and employed almost 500 people at the peak of its business. The company terminated employment contracts with 79 workers in April 2016 and had no valid employment contracts when bankruptcy was declared.